Fritz Haber was a German chemist who won the 1918 Nobel Prize in Chemistry for the synthesis of ammonia from its elements. Check out this biography to know about his childhood, life, achievements, works & timeline. 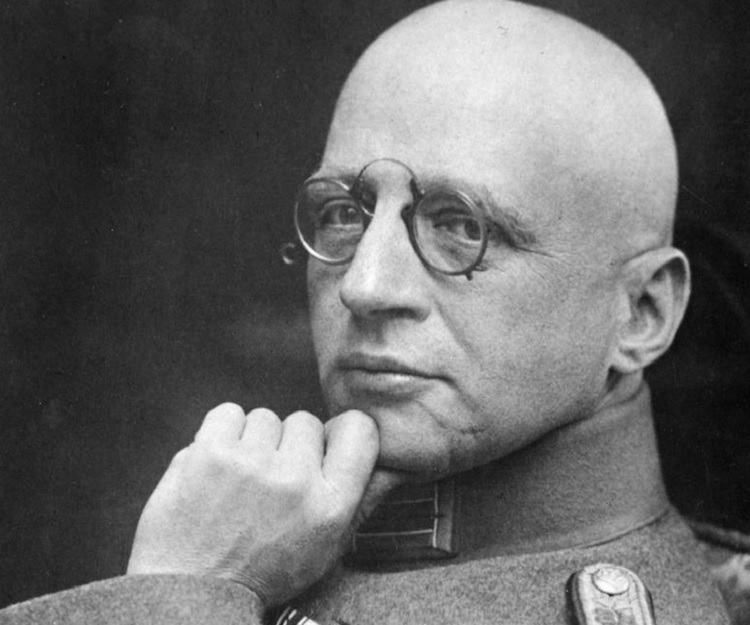 Fritz Haber was a German chemist who won the 1918 Nobel Prize in Chemistry for the synthesis of ammonia from its elements. He born into a well-established Jewish family in Breslau; his father owned a prosperous chemical business. 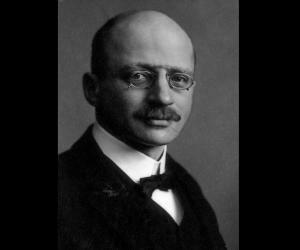 After receiving his PhD from Friedrich Wilhelm University, Fritz Haber first decided to join his father’s business; but later changed his mind and joined University of Jenna. While working as an independent assistant at Jena he converted to Lutheranism. Later, he shifted first to University of Karlsruhe and then to Kaiser Wilhelm Institute for Physical Chemistry and Electrochemistry at Berlin-Dahlem. At Karlsruhe, he worked on different projects and made major contributions in the field of chemistry. 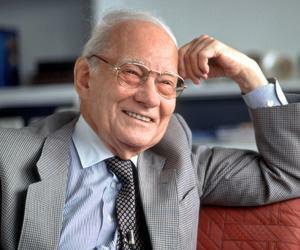 His work on synthesizing of ammonia for use in the fertilizer and explosive industries is one of his most significant discoveries. It not only earned him fame, but also the Nobel Prize in 1918. However, his invention of chemical weapon during the World War I made him equally unpopular. However, he defended his action by saying that death was death; it did not matter how it happened. He also declared that during peace the scientists belonged to the world, but during the war, they belonged only to their own country. 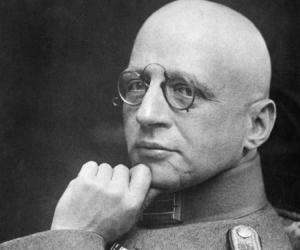 Fritz Haber was born on 9 December 1868, in Wroclaw, then known as Breslau, in Western Poland into one the ancient Jewish families of that region. His father, Siegfried Haber, was a well-known merchant dealing in dye pigments, paints and pharmaceuticals. Fritz lost his mother, Paula Haber, three weeks after his birth. His father later remarried Hedwig Hamburger. From this union, Fritz had three half sisters; Else, Helene and Frieda. Although his association with his father was always strained he enjoyed cozy relationship with his stepmother and sisters. Fritz began his education at Johanneum School, a primary institution attended by students of all religion and sects. 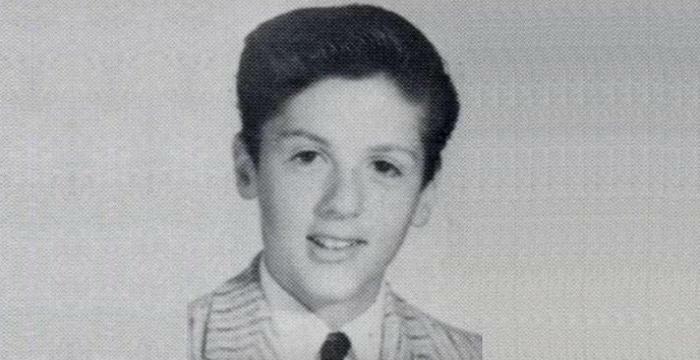 At eleven, he enrolled at St. Elizabeth classical school, graduating from there in 1886. Next he enrolled at Friedrich Wilhelm University in Berlin (now known as Humboldt University of Berlin) to study chemistry. In 1887, he shifted to the University of Heidelberg to study under Robert Bunsen. After completing one semester there, he went back to Berlin to study at Technical College of Charlottenburg (now Technical University of Berlin), finally graduating in 1889. In 1889, he joined the Sixth Field Artillery Regiment for one year’s compulsory service. Afterwards, he rejoined Technical College of Charlottenburg to work for his doctoral thesis under Carl Liebermann. On Liebermann’s advice he chose to work on Piperonal, an organic compound found in fragrance and flavors. Since Charlottenburg was not yet entitled to offer PhD degree he ultimately submitted his paper at Friedrich Wilhelm University and received his degree in May 1891. His work was published as ‘Über einige Derivate des Piperonals’ (About a Few Piperonal Derivatives) in the same year. He next took up series of jobs in various chemical units and realized that he needed to learn more about technical processes. Consequently he joined Polytechnic College in Zürich (now Swiss Federal Institute of Technology), studying with Georg Lunge for one semester in 1892. Haber started his academic career in 1892 as an independent assistant to Ludwig Knorr at the University of Jena. His knowledge in dye impressed Knorr and through his reference Haber joined Hans Bunte at the University of Karlsruhe in 1894. 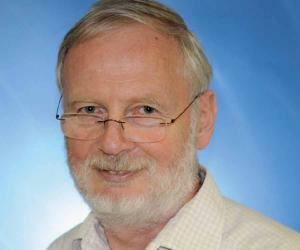 On the advice of Bunte, Haber started working on thermal decomposition of hydrocarbons. He submitted his findings as his Habilitation thesis. Later, he was appointed as a Privatdozent and took up teaching along with his research works. He spent 1896 travelling around Europe studying advances in dye technology. The next year he made a similar trip, but this time he chose to study on development of electrochemistry and especially on the reduction of nitrobenzene. In 1898, he was appointed as an Extraordinarius and Associate Professor at the University of Karlsruhe and continued working on various projects. Around 1904, he undertook electrochemical preparation of number OF important organic compounds. Even today these works are taken as important milestone in the field of electrochemistry. In 1906, he was appointed as Professor of Physical Chemistry and Electrochemistry and Director of the Institute. In spite of that he continued working on a variety of projects. In 1907, Haber undertook detailed study on hydrogen-oxygen fuel cell. Next in 1909, he embarked on a pioneering work on the glass electrode. However, his 1908 invention of ‘Haber Process’, which led to synthesizing of ammonia from nitrogen and hydrogen gas on laboratory scale, is the most significant of them. In 1911, Haber was appointed as the Director of the Kaiser Wilhelm Institute for Physical Chemistry and Electrochemistry at Berlin-Dahlem. When the World War I started in 1914, he became one the co-signer of the "Manifesto of the Ninety-Three", which pledged unequivocal support to the German war effort. Soon Haber was made the Head of the Chemistry Section in the Ministry of War. His job was to develop deadly gases suitable for using in trench warfare. He not only led the team that developed such gases, but also invented a mask that would protect the users. So eager he was about this particular invention that he personally supervised the release of deadly chlorine gas in April 1915. Even after the war, from 1919 to 1923, he continued working for the German Army in its secret chemical weaponry program. 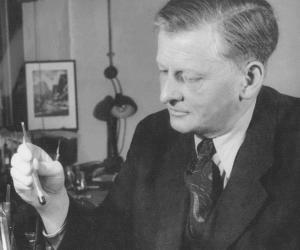 He spent the 1920s, trying to extract gold from sea water; but found the percentage to be too negligible to make the operation commercially viable. Soon Nazism began to raise its head and by 1931, Haber began to feel uneasy about the whole situation. Although he was born a Jew, he had converted to Christianity long ago. Moreover, his service to his country during the World War I was also unparalleled. He thought all these would make him accepted as a patriotic German; but that was not to be. He, as the Director of the Kaiser Wilhelm Institute for Physical Chemistry and Electrochemistry, was next ordered to sack all Jews. Haber delayed the execution of the order thus giving the scientists to relocate them elsewhere. Finally on 30 April 1933, he tendered his own resignation on ethical ground. Although Haber had worked in different fields he is best known for his work on synthesis of ammonia using atmospheric nitrogen and hydrogen gases. Known as ‘Haber-Bosch Process’, it enabled industrial production of fertilizers, which in turn enhanced agriculture production considerably. In addition to ‘Haber-Bosch Process’, Haber is equally known for the ‘Born Haber Cycle’. The cycle developed by Haber and Max Born is used mainly for calculating lattice energies of an ionic solid. In 1918, Fritz Haber, along with Carl Bosch, received Bunsen Medal from the Bunsen Society of Berlin. 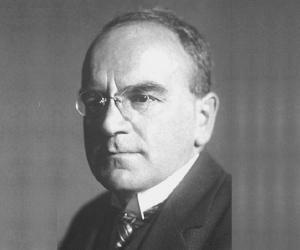 In 1919, Haber was awarded with the 1918 Nobel Prize for Chemistry "for the synthesis of ammonia from its elements". In 1929, he was awarded with Wilhelm Exner Medal by the Austrian Industry Association (Österreichischer Gewerbeverein) for the same invention. In 1932, he was awarded with the Rumford Medal by the Royal Society "for the outstanding importance of his work in physical chemistry, especially in the application of thermodynamics to chemical reactions". On 3 August 1901, Haber married Clara Immerwahr, a German chemist and also the first woman to be awarded doctorate in chemistry. However, she never worked independently; instead she silently contributed to Haber’s work without any expectation of reward and it made her immensely unhappy. The couple had one son, named Hermann. On 2 May 1915, Clara committed suicide; purportedly as a protest against her husband’s involvement in chemical weaponry. On 25 October 1917 Haber married Charlotte Nathan. The couple had two children, Eva-Charlotte and Ludwig-Fritz. This marriage was also full of conflicts and they divorced on 6 December 1927. Haber resigned from Kaiser Wilhelm Institute on 30 April 1933. He then travelled around the continent, staying for a short period at France, Spain, and Switzerland. Finally he was invited to Cambridge, England where he worked for few months. By this time, his health had failed and he had suffered a stroke. In 1934, he was offered the post of the Director at the Sieff Research Institute (now the Weizmann Institute) in Rehovot, Palestine. He then left for the Middle East in the beginning of 1934 and died on the way on 29 January 1934. Kaiser Wilhelm Institute for Physical Chemistry and Electrochemistry, where he worked for a long time was renamed as Fritz Haber Institute in 1953.